FarmsNotFactories have just launched their new video series which aims to champion the #TurnYourNoseUp at pig factories campaign in the UK. 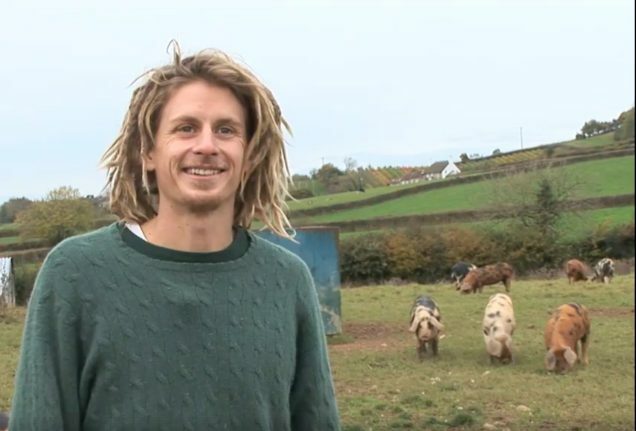 The first installment of the 12 episode series features chef Damian Clisby and Harry Boglione, a young organic farmer who left London and returned to the land to raise his happy, healthy pigs. FarmsNotFactories aims to engage consumers as well as farmers and chefs in the revolt against cruel, unhealthy and dangerous factory farms, where pigs are regularly dosed with antibiotics to treat the diseases caused as a direct result of the cramped unsanitary conditions in which they are kept. This over reliance on antibiotics is a significant cause of the spread of antibiotic resistant bacteria which poses significant health risks in the future to both people and animals. Organic farming where pigs are allowed to roam free and are cared for largely eliminates the need to medicate these intelligent and beautiful animals. Watch Episode 1 of FarmsNotFactories new video series here! The Food Project is supporting and inspiring young people to make a change in their communities.